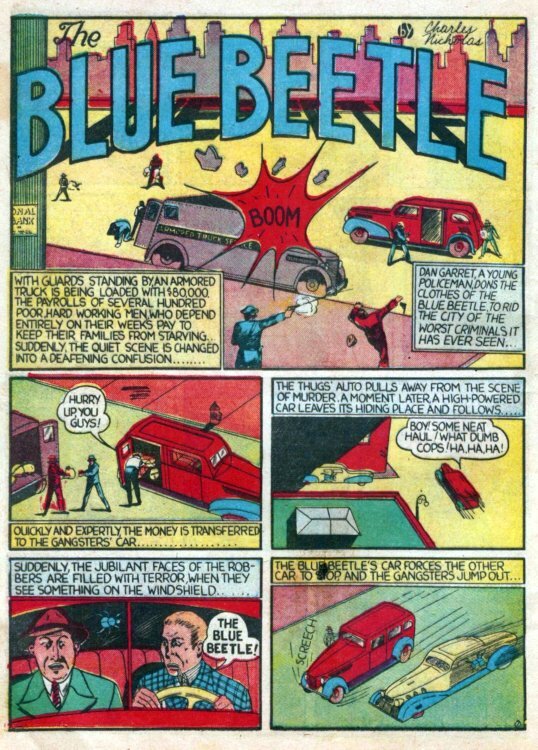 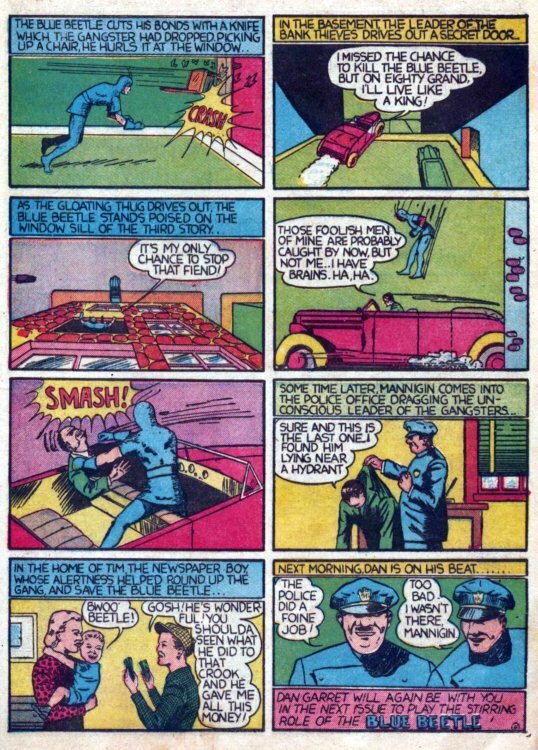 Hero Histories: Reading Room: BLUE BEETLE "Armored Car Robbery"
...and displays the BeetleMobile in it's only appearance, ever! 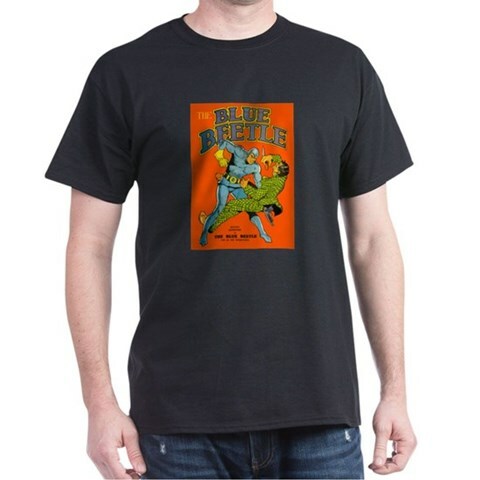 You'll note Blue Beetle now wears distinctive chain-mail armor, but with short sleeves and no domino mask! 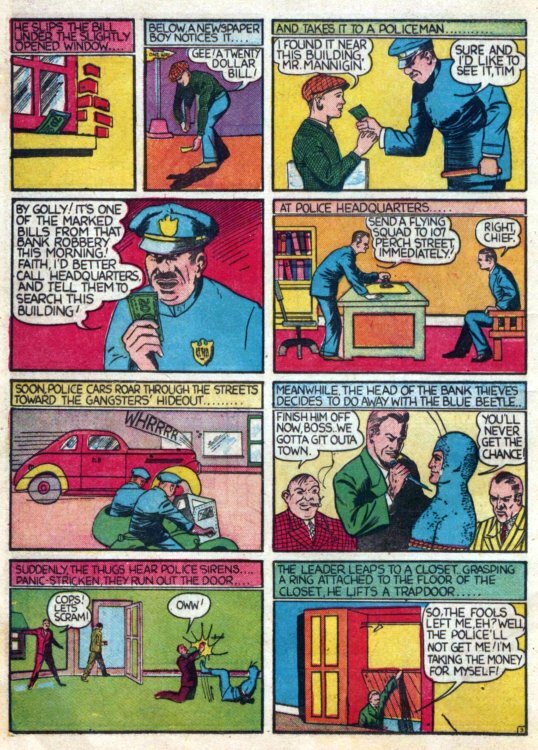 Next issue he gains the mask, and by his fourth appearance the long-sleeved look he was to keep for the remainder of his career. 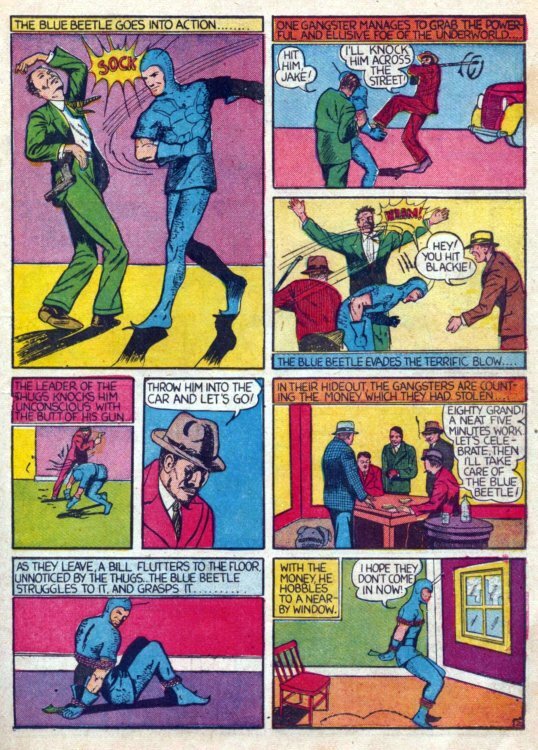 This story from Fox's Mystery Men Comics #2 is credited to the the pen-name "Charles Nicholas", but was written by Will Eisner and illustrated by Charles Nicholas Wojtkoski, who later used the name for all his comic work until he retired.